Drop Dead Diva Unleash Your Inner Diva Prize Pack Giveaway - Are You Screening? Drop Dead Diva returns for a fourth season this Sunday, June 3rd, and I have a great giveaway to help celebrate. The surprise (to me… because it sounds crazy on paper) Lifetime hit held strong through three seasons, and it doesn’t look like it will be slowing down. Season four opens with Kim Kardashian in a guest role as a relationship guru Stacy enlists to help make sense of her life. More importantly, there are a couple of new regulars joining the cast. Certainly not a show that is scared to mix things up, it looks like we’re in for a wild ride through the first few episodes. Check out more info and a teaser below, then enter to win the Unleash Your Inner Diva Prize Pack. Lifetime’s critically acclaimed hit series, “Drop Dead Diva,” returns for a fourth season with 13 new episodes premiering Sunday, June 3, at 9/8c. Joining the series’ roster of top name guest stars is Kim Kardashian (“Keeping Up with the Kardashians”), who makes her multiple episode debut in the season opener. The one-hour, comedic drama tells the story of a shallow wannabe model who dies in a sudden accident only to find her soul resurfacing in the body of a brilliant, plus-size and recently deceased attorney, Jane. 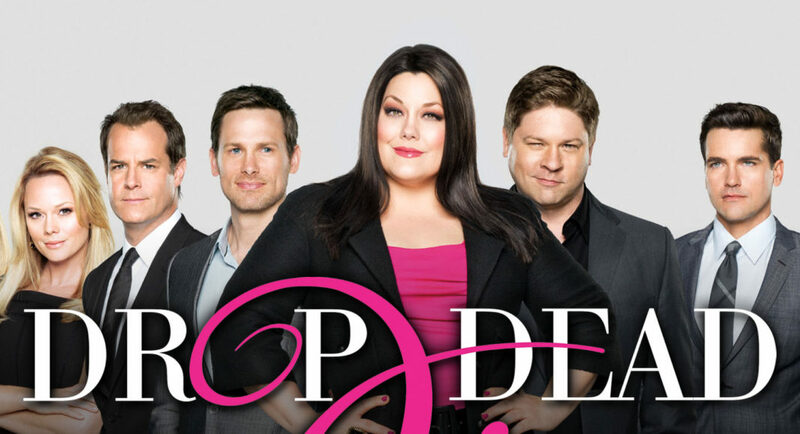 Produced by Sony Pictures Television, “Drop Dead Diva” features breakout star Brooke Elliott (“Wicked,” “Taboo”), Margaret Cho (“Dancing with the Stars,” “Notorious C.H.O.”), Jackson Hurst (“Living Proof”), Kate Levering (“Cashmere Mafia”), April Bowlby (“Two and a Half Men”) and Josh Stamberg (“Lie to Me”). Carter MacIntyre (“Undercovers”) and Lex Medlin (“Southland”) join the ensemble cast as series regulars. One lucky winner will receive the following. Enter using the widget below.